Hi everyone, welcome back to my blog (and a big hello to newcomers)! Shock horror, I’ve once again fallen in love with another of the brand’s creations. Initially, I was on the hunt for a compact which would replace my Mac Studio Fix Powder Plus Foundation – I’ve used this product for so many years now and nothing has ever delivered such high-coverage post-foundation coverage, but I finally decided to stray away from the familiar and opt for a cruelty-free, vegan alternative. 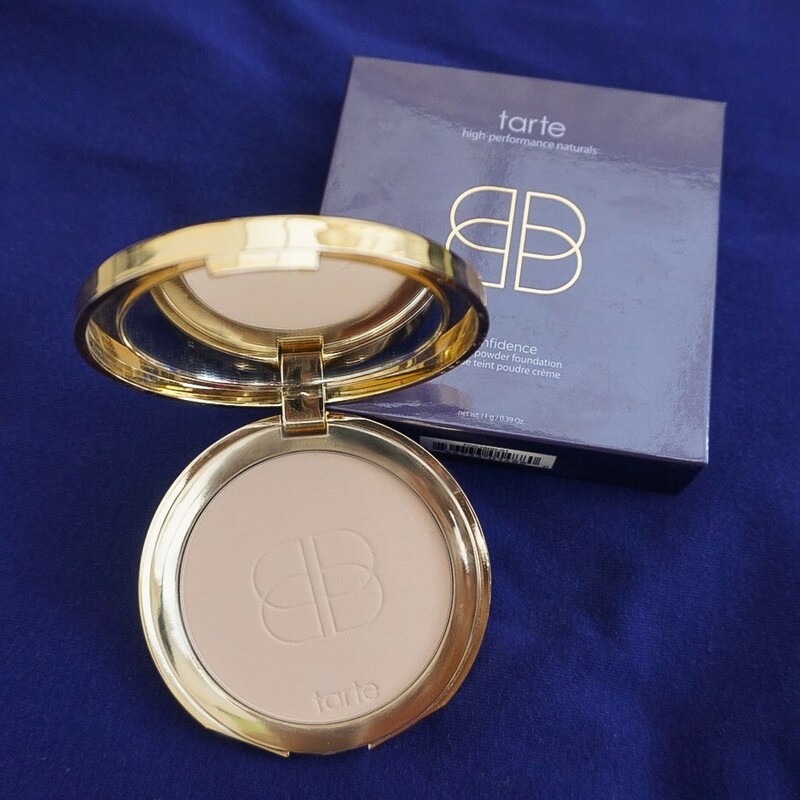 It’s safe to say that the tarte Confidence Powder Foundation is now my compact of choice… for a number of reasons. 1. The formula is sooo much creamier than the Mac alternative. It feels extremely luxurious when applied to the skin and a little product really does go a long way. 2. It’s FULL COVERAGE. When blemishes arise, I know I can rely on a combination of a foundation base and a dusting of this directly onto problem areas to cover any red pigmentation. 3. It’s also great at masking creases. Inevitably, the skin still gradually gains creases and lines throughout the day, but it tends to delay the process a little longer. 4. With 10 shades to choose from, it’s fair to say that there is a colour to suit just about every complexion. My colour of choice was Fair-Light Neutral, a pale mixture of yellow and pink tones which perfectly matches my ‘pasty’ skin. 5. If you’re based in the UK (like me), it can be purchased for £34.52 from QVC as part of a bundle alongside the double-ended brush. Was this review helpful? Please leave any questions or feedback in the comment space below! You have me sold lol. Tarte is one of the best brands! ← Lets talk about… LINGERIE.